NEED PUPPETEER VOLUNTEERS! 10/13/13 AT SUNDAY STREETS! GPSW is going to be at Berkeley Sunday Streets with Habitot Children’s Museum! 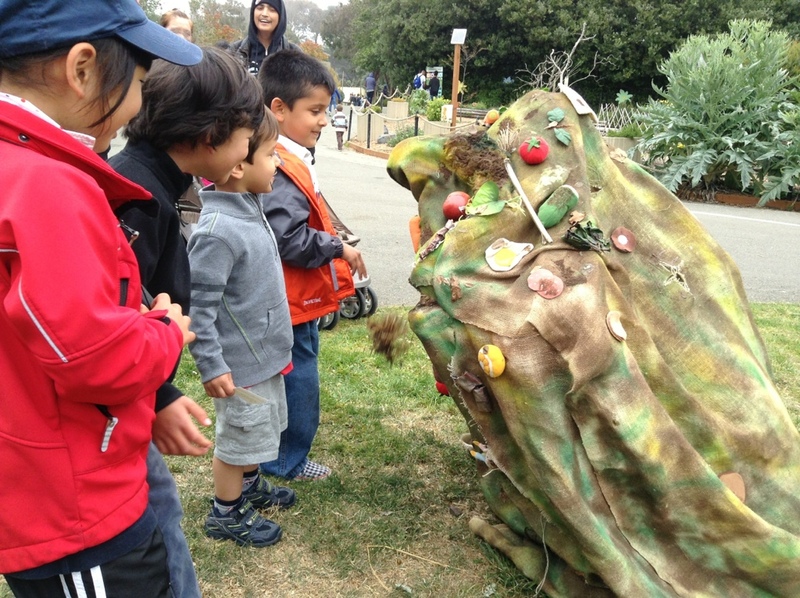 Compton the Compost Puppet was at the San Francisco Zoo for Memorial Day Weekend! Compton was at the SF Zoo next to the Garden and Compost Zone to help launch the new iPhone application called RedRover (http://blog.redrover.co/)! RedRover updates families on cool fun things to do in the Bay Area. DL RedRover to get updated on Giant Puppets Save the World events! Yay! Hangtown Halloween Ball this weekend! Come and check out Giant Puppets Save the World this weekend for Railroad Earth’s show and a debut of our Long Eared Owl in Placerville, California! WOOT WOOT! We’ll be on the storytelling stage at 1:30pm Sunday and performing during Railroad Earth’s second set Saturday night! Come enjoy the wonder with Giant Puppets Save the World! Giant Puppets Save the World will be offering the Giant Flying Cedar Waxwings and Quetzacoatl for play and community building. Experience the thrill of running with our giant silk bamboo puppets with your friends, family, and people you’ve yet to meet! Learn why and how, giant puppets save the world by encouraging community collaboration to make something greater than ourselves come to life with collaboration.